Moment has just launched a major revamp to its smartphone camera app. Paired with the company’s cases and high-end lenses, the app aims to bring a “DSLR shooting experience” to your phone. The new app is a “ground-up redesign” that adds more shooting options, full manual controls, and major stability improvements. 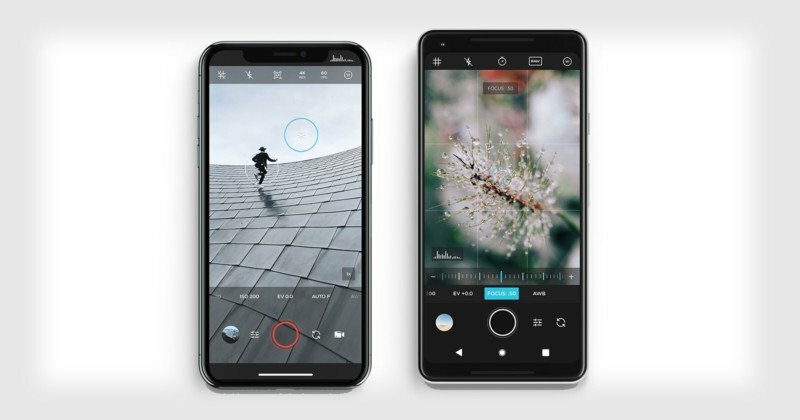 The manual controls put important adjustments within your thumb’s reach — things like exposure, ISO, shutter speed, focus, white balance, and image format are controlled with sliders that can be quickly reset by double-tapping. Double-tapping the screen separates focus and exposure for properly shooting in tricky environments. Nikon D850 Full Frame 4K! Adorama Deals, Cinematography, Gear, News Comments Off on Nikon D850 Full Frame 4K! I think this is just what I need… I have been a Nikon user but switched to Canon a number of years ago. I just may switch back! The Nikon D850 is now official after quite a bit of anticipation following a development announcement just a few short weeks ago. Thankfully, Nikon has not disappointed and the new D850 houses some of the best specifications and features of any modern camera. Headlining the announcement is a new full frame 45.7MP BSI (back side illuminated) sensor with no low pass filter. We first saw this technology implemented in the Sony A7RII and it should allow for amazing dynamic range while still retaining great low light results, even with the higher resolution sensor. When the Nikon D800 first pioneered the high resolution DSLR, it did so with limited speed and performance. Thankfully the D850 matches the Canon 5D Mark IV’s ample 7fps shooting speed and can even exceed it by shooting up to 9fps when paired with the MB-D18 battery grip and EN-EL18a/b battery. Alright Nikon, you have my attention! GoPro is calling the new Hero 5 Black “Simply the best GoPro, ever.” They’re not wrong. Waterproof to 33ft out of the box and featuring 4K video, stabilization, voice commands, and more, the Hero 5 Black is a lot of action camera for $400. 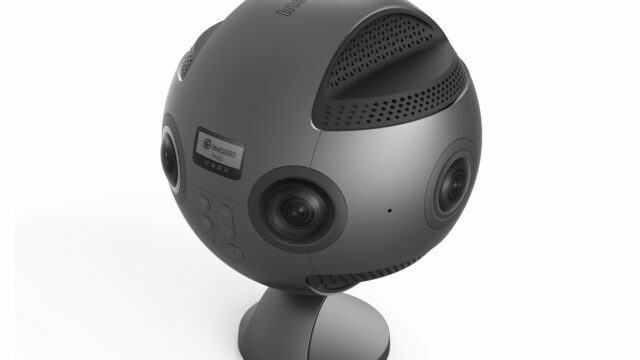 This morning’s GoPro announcement was a product release bonanza. Not only did we get to see the Karma ‘so much more than a’ Drone, CEO Nick Woodman also debuted the new flagship GoPro Hero5 Black. The big news on the surface is that the Hero5 Black can survive below the surface… of the water that is. Out of the box and without a casing of any kind, it’s waterproof to 10 meters (~33ft). This thanks to a new one-button design that takes away a lot of seams and looks pretty sleek doing it. The second most ‘exciting’ bit of news about the Hero5 Black is the voice controls, which let you “stay in the moment” while capturing said moment. Available in 7 languages at launch, you can tell your Hero5 Black to start recording, take a photo, take a burst, and more. Over and over during this morning’s release Woodman harped on the fact that GoPro’s goal was to make a camera that “disappears.” A camera that is so easy and intuitive to use that you forget you’re using a camera—an extension of your experience instead of something that interrupts it. Voice controls are a big piece of this. Add to that the automatic upload to the cloud that comes with a GoPro Plus subscription—every time you plug in your GoPro to charge, it uploads automatically—and Woodman is getting closer to his “invisible” camera dream. So this is it; it’s finally here to clear up the speculation and put to bed the inaccuracies. I say that because this impending release has been grabbing blog copy and forum fodder for weeks, like a ghost that hangs around but never reveals itself. But here it is. Finally. The Canon 5D Mark IV is, though familiar in look and controls, a new animal. It has a new sensor, improved AF and metering sensors like the 150,000 pixel RGB+IR sensor that allows for better subject recognition and tracking; new processor; a built in GPS receiver for latitude, longitude and elevation; built-in WiFi and NFC connectivity, and all enclosed in a familiar but better sealed body. It’s an all ‘round update. Oh, and it also does 4k at 30FPS, has a 7FPS max shooting mode, touch screen, Dual Pixel CMOS AF, and the brand new party trick, Dual Pixel Raw. That is, the 5D Mark IV on the half shell. One of the world’s most popular cameras may be about to get a huge leap in tech and quality: a new report says that Apple is planning to introduce dual rear cameras in its upcoming iPhone 7 Plus. AppleInsider reports that this news comes from KGI Securities’s Ming-Chi Kuo, one of the world’s top Apple analysts. Kuo says the technology is from Apple’s acquisition of LinX in April 2015. LinX was an Israeli startup that was developing multi-camera modules that promised to give phones DSLR-esque performance. The Light L16 is basically 16 cameras in one. It packs the power of a DSLR into the small form factor of a smartphone, and allows you to change your DoF and focal length after you’ve captured your image. The L16 is the world’s first multi-aperture computational camera. Utilizing a folded optics design, it simultaneously captures up to 10 images with 16 separate cameras at 3 focal lengths and then combines them using its computational algorithm to produce a 52MP image. This allows users to adjust depth of field, focus, and exposure after the images has been captured. Furthermore, thanks to the 16 cameras that range in focal lengths between 35mm to 150mm, the L16 will choose a subset of those cameras to capture images based on the field of view the users sets themselves. At IBC, Italian company SmartSystem were showing the latest updates to their range of sliders with a unique fluid drag system system instead of a traditional moving belt. 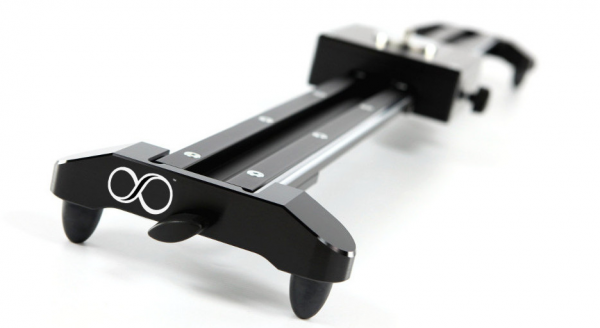 As a result these sliders offer a very smooth travel motion – probably the smoothest I’ve seen. There is a Reflex version for smaller cameras and a Pro version that can carry weights of up to 100kg. optimized for high-resolution DSLR cameras. GoPro has just announced a new action camera, it’s smallest camera yet. 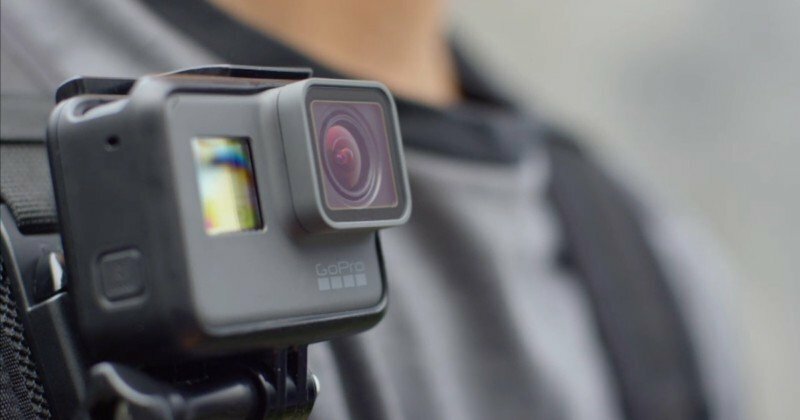 The new GoPro HERO4 Session is 50% smaller and 40% lighter than the HERO4 Black and Silver, and its cube-style design is strangely similar to Polaroid’s Cube+ action camera. TV manufacturers have found that one of the most reliable ways to get consumers to buy a new TV is to push more pixels. The big jump was from Standard Definition (480 horizontal pixels using interlaced scanning) to High Definition (1080 horizontal pixels using progressive scanning). Today, we’re being pushed to buy “4K” TVs, but that definition switches the emphasis from horizontal pixels (there are 2160 of those) to the spec’s vertical pixels (3840) because it’s so much bigger than 1080. Recently, however, an entirely new buzzword has entered the manufacturer’s vocabulary: High Dynamic Range (HDR). Suddenly the discussion isn’t just about more pixels, but better pixels. At its most basic, HDR delivers greater contrast between light and dark areas of a video image. How does that work and how important will it end being to your TV enjoyment? I shall endeavor to enlighten you. If you’re familiar with High Dynamic Range at all, it’s likely via a setting on your smartphone or digital camera. As its name implies, the feature increases the dynamic range—the ratio of light to dark—in your photographs. It accomplishes this by photographing the subject three times at different exposures, doubling the light in each picture. The three images are then blended into one (in a program such as Photoshop, if the device doesn’t handle it internally) that retains the darkest and brightest parts from the first and third exposure, respectively. The result should be a brighter, more detailed picture that’s much closer to what your eye sees. The idea behind HDR video is similar: It increases the range of brightness in an image to boost the contrast between the lightest lights and the darkest darks. If you’re having difficulty grasping how that translates into a more realistic image on your screen, think of the subtle tonal gradations a fine artist creates in a charcoal drawing to build the illusion of volume, mass, and texture, and you should begin to get the picture. But HDR doesn’t just improve grayscale; its greater luminance range opens up a video’s color palette as well. “Basically, it’s blacker blacks, whiter whites, and higher brightness and contrast levels for colors across the spectrum,” says Glenn Hower, a research analyst at Parks Associates. The result is richer, more lifelike video images. Rather than washing out to white, as it would in conventional video, a ray of sunlight reflecting off a lake in HDR will gleam, and a bright cloud will appear soft and cottony. Basically any image your current TV would render shadowed, dull, muddy, or bleached out will look nuanced, vibrant, and strikingly realistic in HDR.